Drive Tech Ltd at Castle Combe Racing Circuit is just down the road from London. We offer some of the best driving experiences in the South West. Whether you’re after a skid pan experience or a few laps around our super outdoor go karting track, we’ve got a package to suit your demands for driving experiences in London. We offer 2 different skid pan courses at Drive Tech, near London. Our standard skid control course includes a welcome introduction and safety briefing, then an initial driving session on our Skid Pan (in both our cars). We then have a session in the classroom with your instructor and then another driving session on the skid pan. To round off we also have a fun time trial so you can put your new skid control skills to the test. Our Intensive skid pan driving experience at Drive Tech, near London obviously goes into more detail. It covers oversteer and understeer and many other factors that influence driving in difficult conditions. Drive our Land Rover Discoveries around the 4×4 Off Road Driving Course at Drive Tech near London. Our highly skilled experts will show you just what these 4×4 vehicles are capable of, and then teach you how to tackle obstacles on our off road course. As well as offering kids karting parties near London, we also run the superb junior karting championships. If you’re looking for a professional and safe children’s go-karting track near London, give us a call! Outdoor adult karting near London at Drive Tech is the ultimate go-karting experience! Our 350m long MSA approved track has fast challenging corners. With our 200cc karts averaging speeds up to 30mph, you’ll certainly have to adjust your go-kart driving skills to suit the weather. Outdoor adult karting is a significant step up from indoor karting! If you’re looking for arrive and drive karting near London, give us a call on 01249 783010 to find out the days we are open for arrive and drive go-karting sessions. 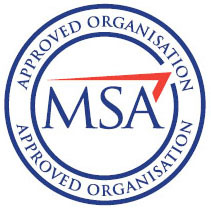 We specialise in offering corporate driving experiences near London. We will put together a programme that can combine any of our driving experiences (4×4 off-road course, karting and skidpan) for your corporate event. 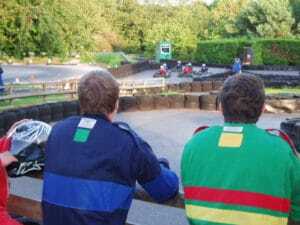 Go karting makes a great activities to incorporate into a hen or stag doo. If you’re having a hen doo or stag doo in or around London we can organise a great karting day for you and your friends. Why not test your off road driving skills on a hen do or stag do near London? 4×4 driving tuition makes a really great activity to add to a group activity and we can help organise a fun pack day for you and your guests. If you’re looking to treat your staff or provide a team building experience near London, our many driving experience activities make a superb one stop shop for your corporate day out. Choose from 4WD Off Road Adventures, Skid Avoidance and Control Skills, Competitive Kart Endurance Race, Grand Prix Kart Competition, Blindfolded Driving, Formula Finesse, Precision Driving and many more.